I have been super lazy with my hair recently. I always find time to wash it and style it, but I forgot to properly treat my hair for at least 2 months now. As a result, my hair has become dry on the ends. Even my L’oreal Elvive oil, didn’t work. I have heard many good reviews on hair products with argan oil. I’ve been thinking between Macadamia and Moroccanoil hair masks, but they are way to expensive – $50 for a hair mask, I mean that’s too much. 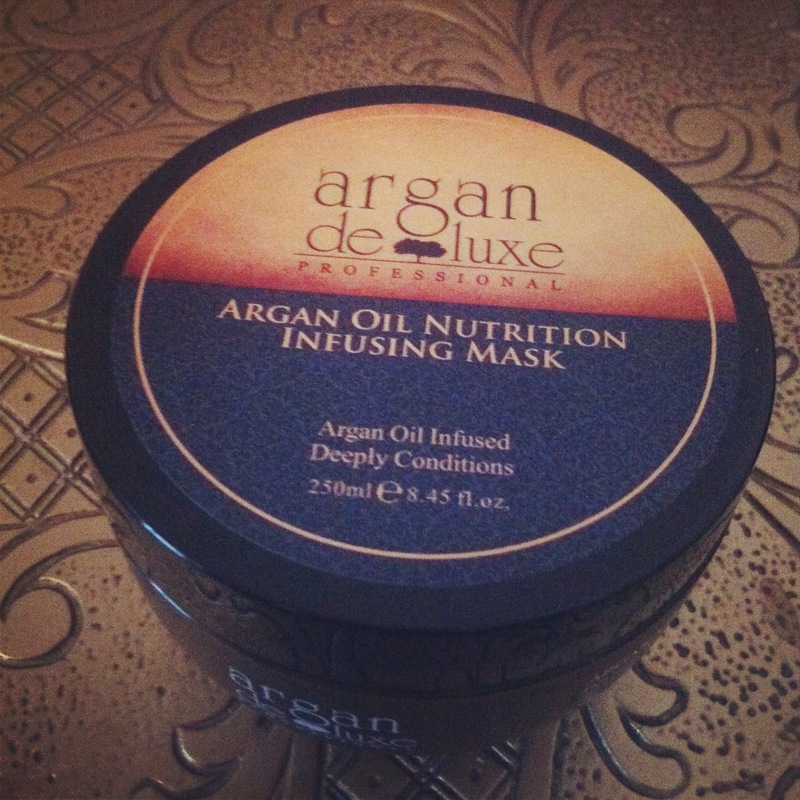 After I while I discovered Argan Oil Nutrition Infusing Mask by Argan De Luxe. The bottle says that this product is infused with Vitamin E, Omega 3 and Omega 9 fatty acids, that help repair the hair and restore softness. This one was just $10, which is a great price for this product. The first time I tried it, I applied it and left to sit in my hair for about 3 hours. After I rinsed it, I loved the result – my hair was super shiny, healthy and increadibly soft. Since I have pretty oily hair, I was concerned about this mask making my hair even more oily. But it didn’t! Instead, my hair looked clean and nice for 3 days after, and then I had to wash it again. The second time I used this hair treatment, I washed my hair before going to bed, then applied this mask, did a bun on top of my had and went to sleep. In the morning I rinsed my hair, blowdried and styled it as usually. My hair felt and looked very healthy and shiny. It had lotsa volume as well. My advice about a hair mask is to use it once a week and always apply it on the ends of your hair (from your ears and down), because if you put it in your roots, they’ll get super oily. And also leave it in your hair for as long as you can – you will notice the results, I promise! 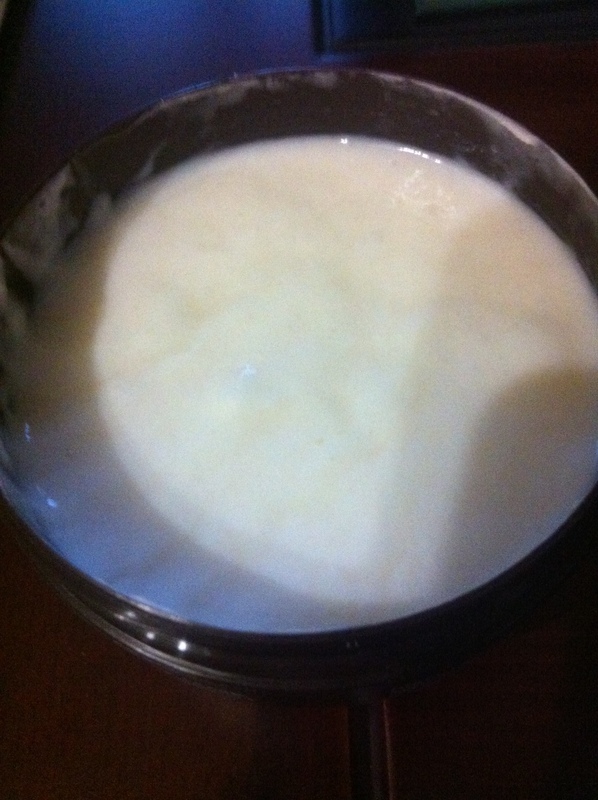 Speaking about the consistency of this mask, it is very creamy and thick. You don’t need a lot of this stuff – a little goes a long way! The smell is nice too – it has a very distinctive smell of an argan oil, nothing too fruity or sweet. So yeah, I definitely recommend this hair mask to everyone. It will moisturise your hair and make it look so much healthier. This is proobably the first hair mask in my life that I will be repurchasing because I loved it so much.